With more than 20 years’ experience working in the classical music area, Belén Alonso maintains her initial commitment and continually endeavours to improve. Having had her first contact with music when she was a child, she studied piano at the Conservatory of her native city, Santander (Spain). She also has a Degree in Tourism Management from the Technical Business Centre of Higher Education (Santander, 1987) and has complemented her education with Music Management courses at the Oviedo University, as well as, possessing a vast knowledge in languages. 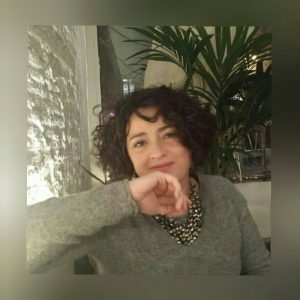 Alongside her studies, she collaborated with Cultural Entities such as the International Festival of Santander, where she worked for over seven years and had the opportunity of meeting many prestigious celebrities on the international music scene. In 1992, she joined the International Piano Competition “Paloma O’Shea” and took care of the Jury and Honor Guest Committee in their 1993 edition. One year later, she was asked to take part in a new Artist Musical Agency founded by the Romanian pianist Sorin Melinte. For 19 years, Belén has worked as artist manager, organizing and coordinating hundreds of tours and an endless number of concerts, being in charge of contact with the artists and the production area for special projects. She has also coordinated the Agency´s image department. In 2012, Belén left Armonía and started a new project with Belén Alonso Management.